The deepest hurts of marriage are often deeper than the current circumstances. Instead, it is the fear that perhaps we are so different there is no hope. Personality differences that once attracted you to each other now drive a wedge. Even deeper, it is the resentment that now, dangerously, wishes your spouse was different than who they are. I remember the moment I looked at my now husband and thought “I want to marry that man.” We were in college, and while I had planned out my future with great responsibility and detail, he was still deciding on a major. He was an artist, a dreamer. He was deeply passionate about life and balanced my Type-A side that wanted to wrestle life into order. While he saw me as a power suit, I was in awe of his carefree, carpe diem outlook on life. We, like most couples, found something in each other that was missing in ourselves. I was the “yang” to his “yin” — perfect for each other while also two opposite extremes that combust when as asked to work together. Marriage has a great way of revealing that dynamic in a relationship, doesn’t it? Most marriages I come across have a similar dynamic. Most of the time opposites really do attract. Maybe you are an introvert married to an extrovert, or a highly organized person married to someone who wants no rules. But these opposite characteristics that once attracted us can over time create huge relationship frustration. And, In many cases, that frustration is the cause of deep hurt. In my work as a military marriage therapist, I often see couples with one specific personality combination: the service member is highly disciplined and logical, and his spouse is incredibly empathetic. Military training has taught the service member that pausing a mission to talk about each others’ feelings gets people killed. In military strategy, emotions simply do not hold the value they do on the outside, especially at home. But because service members often marry their deeply empathetic opposite, the military spouse puts high value on those emotions. It is how we as spouses tend to make parenting decisions and communicate in our relationships. 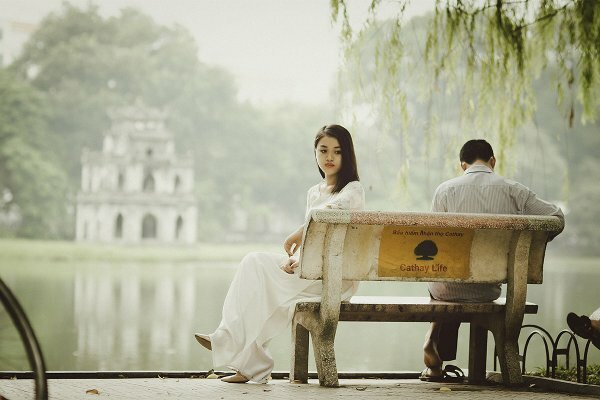 Although every couple is unique in how their personalities conflict, I see again and again supporting spouses who say “he is cold” or doesn’t “value my feelings.” Many spouses tell me that they often agree with his logic, they just want to know that he also hears, relates, and can feel the feelings of those impacted by his decision. But from his perspective, he listened and doesn’t know how to value your feelings any more than he already did. And now the couple is hurting — and they wish the other was different. And because they have been here so many times before, the discouragement is real. Things never change. They never change. It is a crazy cycle of triggering each other into bad habits and reactions, only to push them into feeling deeply ashamed of who they are. Afterall, how does one magically turn into a different person to make their spouse happy again? Even while doing it, most people know that begging their spouse to be someone they are not doesn’t get them closer to their goal. So how do you come to terms with your partner and accept who he or she already is while also working on your relationship and happiness? Assuming your challenges are the result of personality differences and not destructive behavioral decisions like addiction, there is a simple way to navigate your way out of begging and into helpful relationship building. Even easier? It is also an acronym — BEG — to help you stop in the moment and ask a few questions. Balance: Have I lost sight of our balance? Remember your spouse has strengths that you do not, and vice versa. Combustion does not have to be the result of the two of you coming together on any issue. Look for how his strengths add value rather than assuming your way is the best and right way. The power of yin and yang is that opposites actually balance each other in the most healthy, often pure way. If you can say that your expectations are healthy and you simply need them to show more affection than they naturally do, then you can safely assume you aren’t asking too much, and now you have a starting point. Grace: How can I extend grace? Grace is giving someone mercy even when you feel they don’t deserve it . Having strengths means we also have weaknesses — we simply cannot be a rockstar at everything. Have grace for your spouse in the areas that do not come naturally to him or her. Teach ways to easily meet those needs for you rather than waiting for them to be as awesome as you are. Chances are you will need that person’s grace just as much tomorrow when he or she is asking you to change. As much as sometimes I would love to sometimes beg my husband to be more like me, if I’m honest I really don’t want that. I love that he makes me put down my calendar and I (sometimes) love that he pushes me to think outside our budget. I need that in my life, or I would turn into the most selfish version of myself. So perhaps today, I will try a little harder to do some of the things that are important to him and we just might see the value in this thing called marriage.